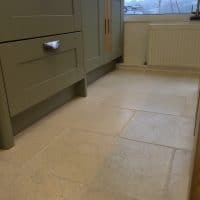 Natural Stone is an extremely popular choice for use not only in entrance ways and conservatories – but also dining rooms and when used in a kitchen can give your home a real rustic charm. With so many different choices and styles of stone available; from majestic looking Marble and natural Slate to the homely hand crafted Terracotta, travertine and the very luxurious Limestone to name a few – you really can give your home a makeover this spring. Tile flooring is an easy and aesthetically pleasing alternative to carpet or wood flooring. Many choose tile simply because it is easy to clean, making it a great flooring for potentially messy places like the kitchen. Some people living in hot places prefer tile flooring throughout their home to keep the temperature down, as tile doesn’t retain as much heat. It also proves to be a great choice for flooring due to its relatively low cost and wide variety of styles. No matter what your taste in design is, there is always a tile that will suit your color palette, your personal style, and your budget. Natural Stone Tiles are one of the most popular tile choices due to their rustic charm and durability. These tiles are made of natural stone from a variety of sources. These stones are stronger than ceramic and porcelain tiles, and they can endure quite a bit more wear and tear before appearing degraded. Plus, they’re extremely easy to clean off. Natural stone tiles come directly from the earth, and yet they are often naturally covered in beautiful patterns or glow with vibrant color. There are shades and hues of natural stone to fit almost any home décor or colour palette. These stones can fit into a modern or contemporary design as well as rustic and country designs. Natural Stone Tiles come in a range of different types of stones. Marble is a great addition to any kitchen or bathroom. It’s a naturally waterproof before it’s even sealed. However, marble can scratch easily. It comes in many beautiful arrangements of colors and hues, with natural patterns that catch the eye. Marble is a very beautiful and versatile stone, and after a good polish it shines. Marble can be used in almost any room of your house. This elegant stone ranges from simple colors to complex patterns, all of which were formed naturally as the stone itself was formed. Slate’s colours range from black to a dull silver, with occasional green or blue hues. This stone is great for flooring because it is extremely durable and tough. These stones can sometimes be a simple color, and other times they will have heavy contrasts in color. Just like with marble, this makes it a very versatile stone. It can be used in simple colour designs to bring a darker, calming presence, or it can be used with complex designs to bring contrast and beautiful natural patterns to a room. 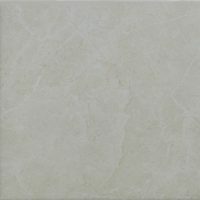 These natural stone tiles are very easy to clean and resistant to damage, making them an excellent choice for kitchen or bathroom flooring. Terracotta stone naturally has a very warm coloration. It’s orange glow brings warmth and a certain brightness to any room it’s placed in. It works very well with other earthy colors, making any space feel all the more homey. Limestone is all over the place with different colors. It range anywhere from soft gray, to yellow, to brown. Limestone is very durable, though it has to be regularly treated to prevent water damage. This beautiful stone pairs well with just about any home décor. Limestone has been used in construction for centuries, and it imparts a sense of that “classic look” to any room it’s in. This stone is very tough and naturally weather-resistant. It’s sturdiness makes it excellent for outdoor walkways or patios, as well as indoor flooring in heavily used areas. It is the best stone for resisting that daily wear-and-tear. Most granite lies on the greyscale, making it one of the less colourful natural stones. However, granite is reliable, and you can be sure that it will still look like new for a much longer time than it’s counterparts. 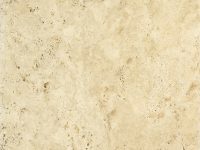 Travertine might be slightly less popular than other choices of stone or stone effect tiles, but the huge quality on offer today of products made from travertine makes it a fantastic choice for bathrooms and other interior surfaces that need a decorative yet quality feel. Natural Stone Tiles come with a range of benefits that serve only to make them a more attractive choice for flooring or wall tiling. Natural Stone Tiles all rank as more durable than ceramic and porcelain tiles. They can sustain much more damage before wearing down. As a result, they make great floor tiles, because they can be walked on daily for quite some time before weakening or showing the results of daily use. They resist scratches and cracks better than most other kind of tiles as well. There are quite a few different kinds of stones, many of which come in a wide range of colourations. This makes natural stone useful with almost any design. There is always a colour of natural stone that can fit into your kitchen colour scheme, and there is always a texture or shape of stone tile that will suit your designs. Natural stone tiles don’t require much upkeep, and what they do require is very simple. You can keep natural stone clean simply by sweeping once every few days and mopping occasionally. If you ever accidentally let a deep stain set into a natural stone tile, you can use specific stone-safe cleaners to give your tile a deep clean without damaging their sealant or breaking them down. At least once a year you will have to reseal the natural stone tiles, but this keeps them easy to clean and the sealant is fairly inexpensive. Stone is wonderful in that it retains heat and cold well. This helps keep your home warm at night and cool during the day. It also means that you can artificially heat stone and the heat will radiate through the whole stone, which can be great for heated floors or home heating systems. These stone tiles come directly from nature, so when you put in natural stone tiles you bring a little bit of nature into your home. These pair well with other natural influences like plants. These elegant tiles suit any home or office, and lend a sense of grace. Natural Stones are a timeless look, they have been appreciated for their beauty for centuries for great reason. Their designs are created completely by the hand of nature, making each one unique. What Rooms Could I Use Natural Stone Tile In? These stones don’t stain or wear down easily, so they work well in a kitchen. They add a bit of a rustic look to any kitchen. Lately, they have been most popularly used in farmhouse and country style kitchen designs because of their earthy qualities. These turn your bathroom into a private natural spring. 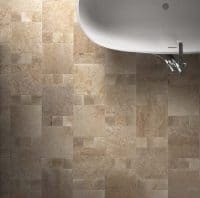 Natural stone is very water resistant as well, making great to use on the floor of your bathroom, around the bathtub, and even in the shower. These stones’ styles range anywhere from a serious and subdued feeling to a warm, high energy feeling because of their variations in size, shape, and color. Whilst marble is often a popular choice for bathrooms, other options are equally suitable. 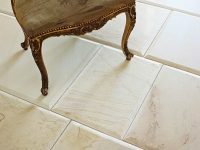 Because natural stone tiles don’t wear out quickly and retain their colors and patterns much longer than other tiles, they make an excellent choice for any parts of your home that see a lot of foot traffic. A granite entryway, a limestone hallway, these stone tiles add a sense of elegance to any walkway they’re placed in. If you’re looking for a sturdy, beautiful, official, and natural addition to your home, natural stone tile might be the perfect choice for you. Surround yourself with naturally formed colors and patterns, rather than man-made copies. These tiles work beautifully with country and farmhouse style designs. However, they also pair excellently with contemporary designs, lending a sense of balance to those sleek designs. Stone tiles are versatile, and can fit in almost any room or style. Mosaics are also available in Natural Stone. See our mosaics pages for options in stone which includes those in various daring colours. Browse our selection of stone tiles and find the shape, size, colour, design, and texture that suits you. We have a large supply of products from leading quality specialists and supplier alike. Each tile should have a price displayed and samples available. Get in touch for further details if you need further information on our company, delivery options, prices, or samples.